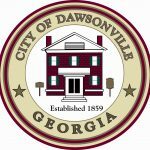 Welcome to the Dawson County Chamber of Commerce, the voice of business in Dawsonville and Dawson County, Georgia. With a history of more than 40 years of experience in serving our community, the Dawson County Chamber of Commerce is the premier business organization for our area. Committed to our mission of "cultivating a successful economic environment and a desirable quality of life for our businesses and community," we provide programming, benefits, and opportunities that enable our members to thrive. We are proud of the more than 470 members that make up our Chamber and who are an integral part of our dynamic community. Whether you are a resident, business owner, or looking to relocate in Dawson County, the Dawson County Chamber is sure you will share our passion for a vibrant and prosperous community to live, work, and play. "I joined the Dawson County Chamber of Commerce in 2012 to meet business owners in our community and contribute to the ongoing growth in Dawsonville. As a small business owner, I have benefited greatly through networking events, the Ambassador program, newsletters and social media connections. I greatly appreciate the opportunity to build relationships with members and help meet their needs in any way I can. Being a member is a rewarding experience both emotionally and financially and I look forward to many years of continued growth."